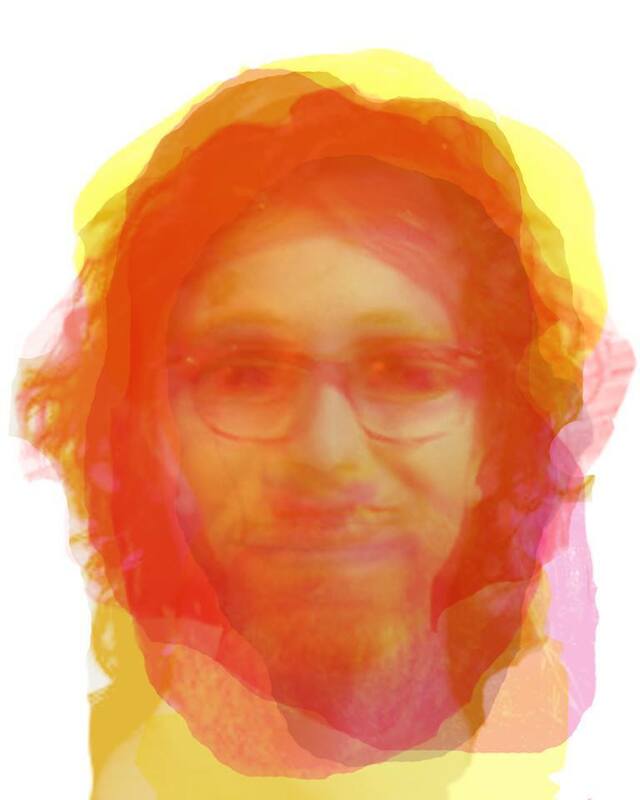 – a new album/collection from Drive West Today which is a free download from Bandcamp. 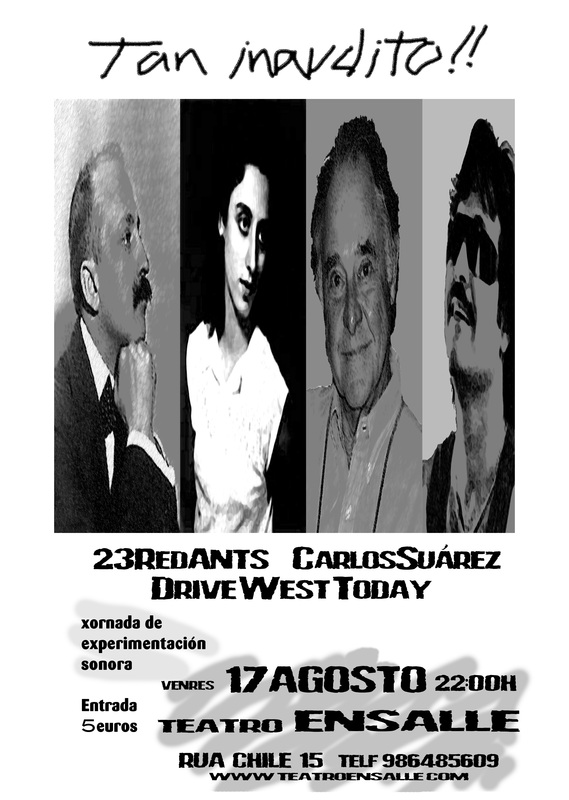 Drive West Today has been expanding over 2011 and 2012 to encompass more than just the cinematic experience of listening to sound. Joshua Santospirito’s guitar is more and more placed into textural compositions that contrast silence to clicks and bursts of sonar. The recordings in the Acousmatic Ecology series are a document of one moment in a long slow exploration of stops and starts and counterintuition. All aimed at creating stillness within a maelstrom of anxiety and the elevation of the soul in the midst of confusion, attempting to take the listener into the performing experience. The second part of acousmatic ecology becomes more minimal than the first (Acousmatic Ecology pt I – a query) but it continues further along the same line of explorations that were opened up by that collection of works. I have organised the Sound Klub gig at Inflight Art Gallery on November 30, 8pm at the closing of both my exhibition Sleuth, and the exhibition of Neil Haddon. 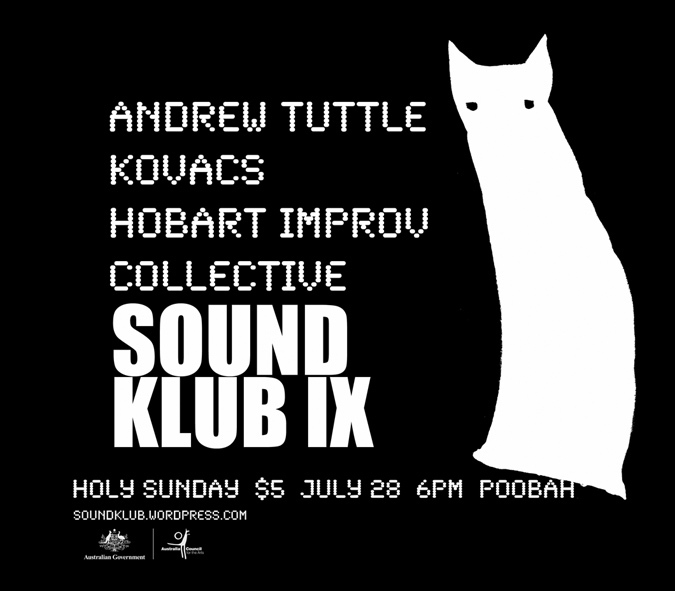 – come down to see Reuben Ingall, Paul Heslin, Transmission (Nick McCorriston). Free entry and there’ll be a bar run by the happy gallery board members. 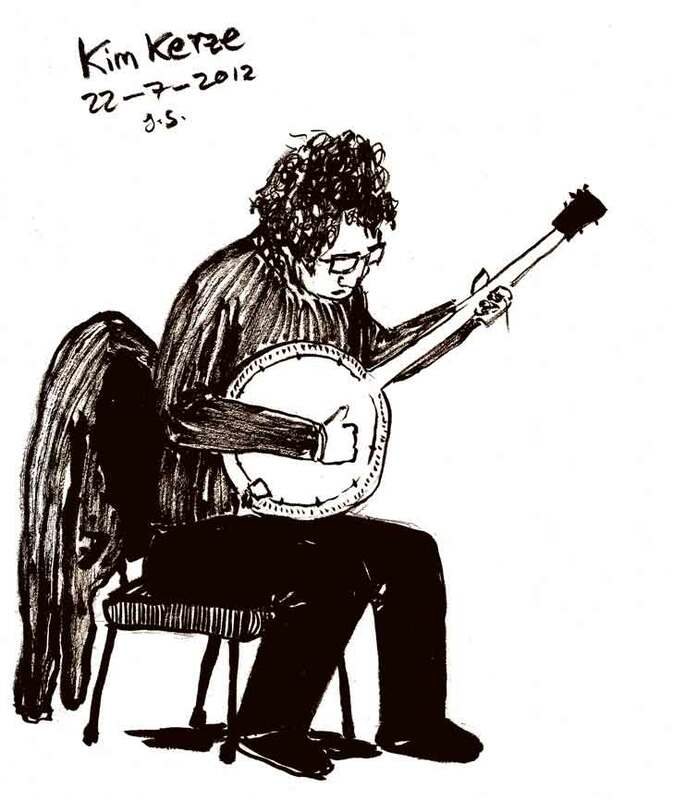 This is a drawing I did of Kim Kerze while he played with Nigel Farley and Tim Panaretos at a house gig in Hobart on Sunday the 22nd of July, 2012. He also used electronics and other interesting toys on the banjo which created some phenomenally beautiful sounds. Gorgeous gig!